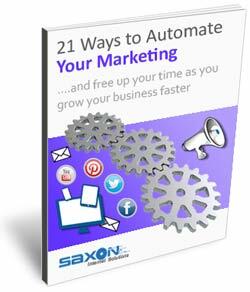 Discover 21 ways you can use marketing automation to grow your business faster … and free up hours of time! Feel like you’re spending too much time on marketing (or not enough)? Explore automation tactics that help each part of your sales process… so that you’re always growing your business (even when you’re not there). Find out how to put marketing on auto-pilot and spend more of your time working in your business and doing what you love. Fill in the boxes below to download your free report and checklist now. 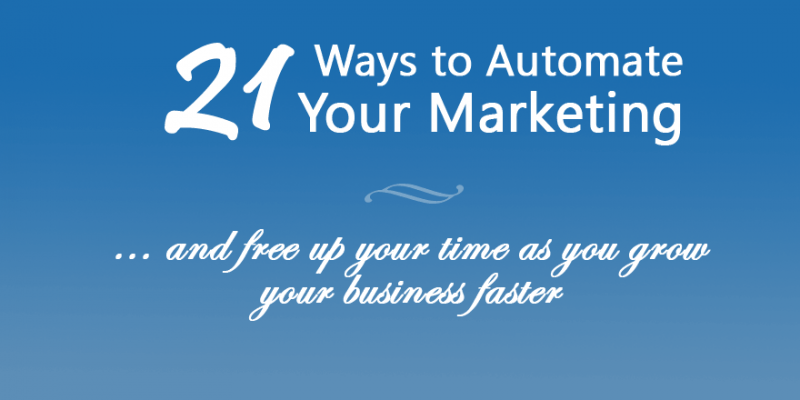 Free up time by automating your business.